Looking for a quick build? An easy build? An inexpensive build? Constructo's "8 Hour Series" kits feature a pre-painted polystyrene hull. 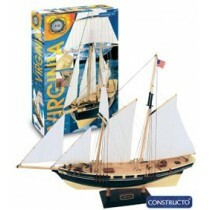 Includes pre-printed wooden deck, wood and metal fittings, wooden dowels for masts and yards, and pre-printed sail cloth. Even comes with paints, brush, glue and sandpaper. Great weekend builds for one low price! 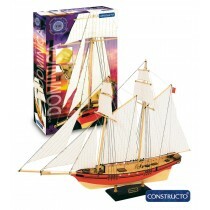 Or, use the kit as a starting point for a more elaborate and detailed project.